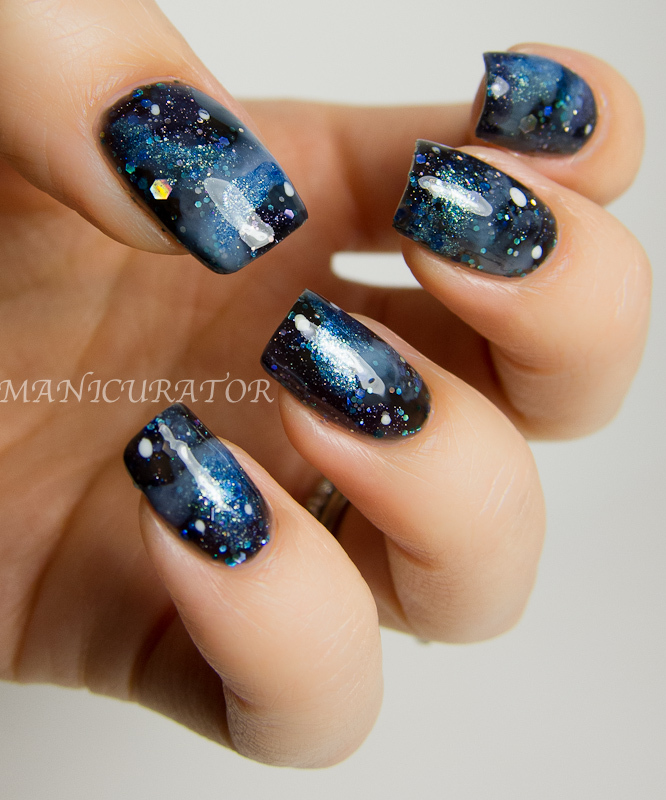 This is my first time doing galaxy nails plus, I was really pressed for time. 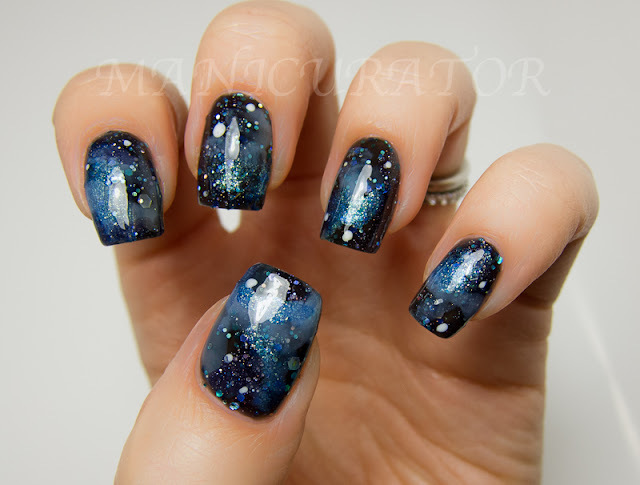 If these came out good...well then, anyone can make galaxy nails :P I knew had a great bunch of polishes to work with for this one and that helped a lot! KBShimmer I made a Bleu Bleu and Witch Way, Lurdurana Marmorizado, OPI Don't Touch My Tutu and Care to Danse? Tough as Nails Spacing Out. 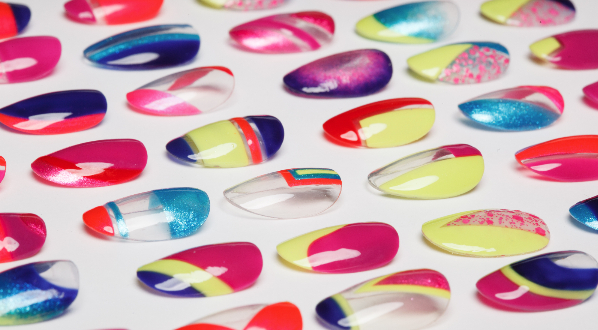 I started with 2 coats of Tough as Nails Spacing Out, which I have reviewed here. Then I randomly painted on (with the brush that comes in the polish) Witch Way, I made a Bleu Bleu (reviewed here and here) and the 2 OPI's from the Ballet Collection. I bet you didn't know they would make a perfect milky addition to galaxy nails!! I added a few dots of the Ludurana for larger stars. Yep. I like it. Nice!! 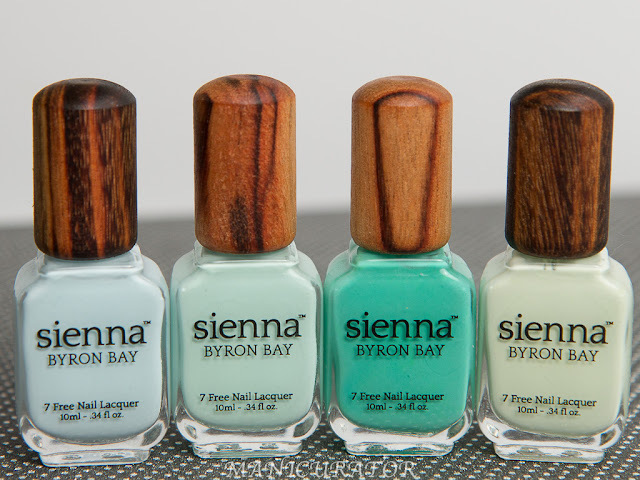 I should have stamped with two jellies too, instead of a jelly and a creamy one. 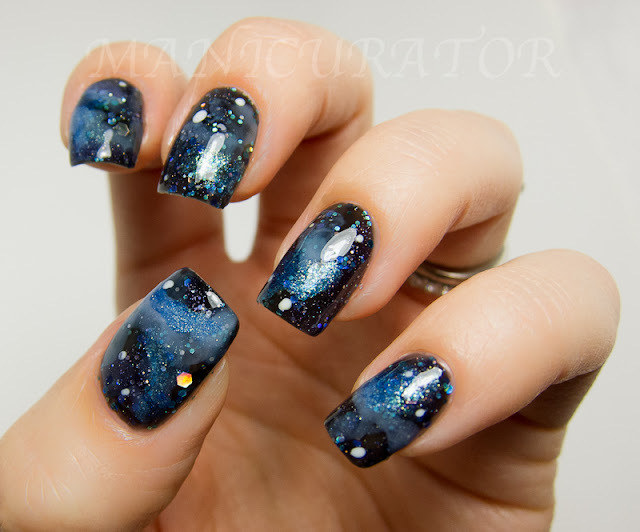 These are SO pretty! 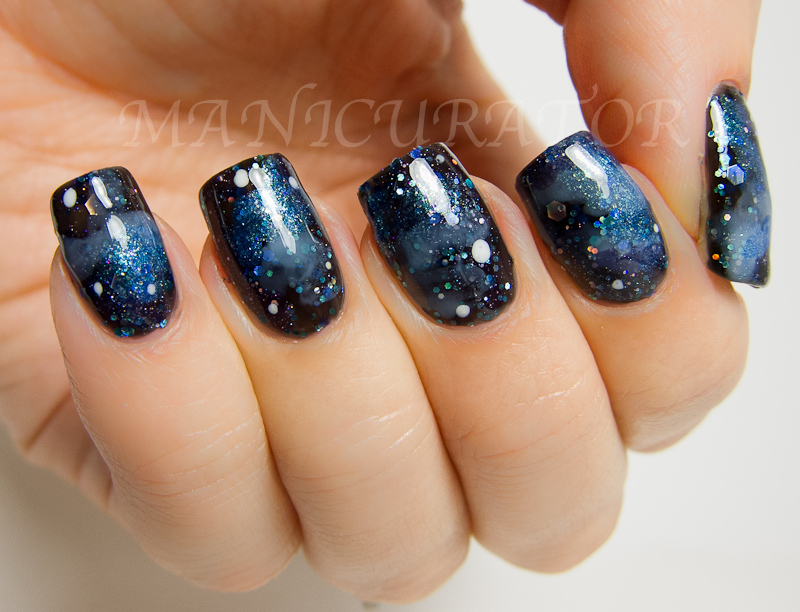 I've seen so many amazing galaxy manis today! 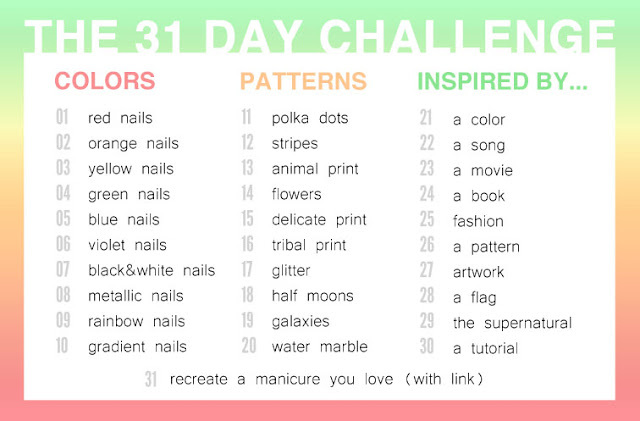 Totally inspired! So pretty! Now I think I need Spacing out!! It's so beautiful!! I would never in a million years think that this was your first time! Gorgeous! 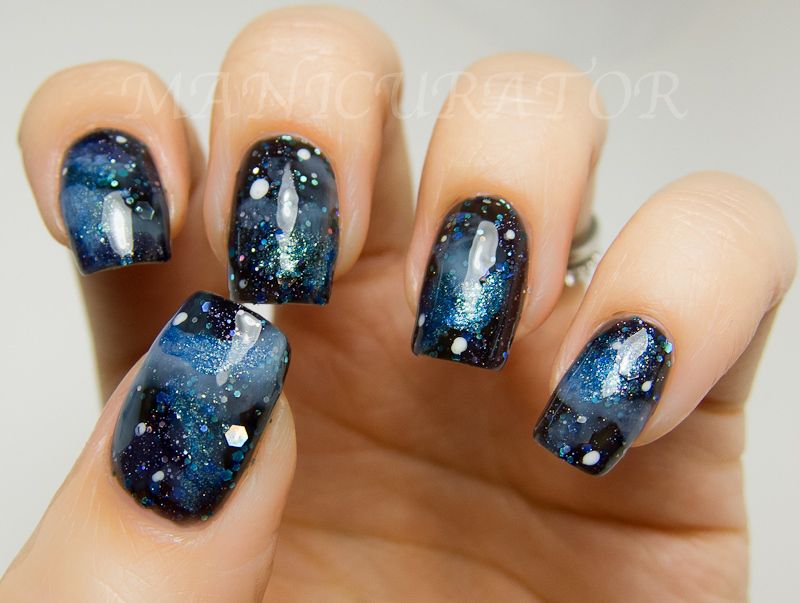 ONE OF THE BEST GALAXY NAILS EVER!! Wow- I think they turned out awesome! sheez-first time? these are freakin awesome.